With volume six, Joe Hill and Gabriel Rodriguez have closed the book on their nearly six year long journey through Lovecraft, Massachusetts with the Locke family. At the conclusion of volume five, things were about as dark as you could imagine. Dodge had gained possession of the Omega key and was ready to unleash his dark forces upon Lovecraft. Will he ultimately succeed or will the Locke family prove too much to overcome? I received a free copy from Netgalley in exchange for a fair review. When a series, be it comics, books, television or otherwise, announces that it’s closing up shop, there’s always a worry that they’ll leave things on a sour note. Rather than let the story seemingly run on forever, Hill and Rodriguez made the difficult decision to end things while they were still on top. Honestly, they could’ve continued the series for a number of years, running the story until the creative juices stopped flowing. However, the creators had an endgame and no level of critical praise was going to keep them from finishing it the way they wanted. It’s hard to really say anything about the series at this point that I haven’t already said. I know, I know, as a reviewer, that line is such a cop out but it’s true. Rodriguez’s art continues to blow me away and Hill’s writing is pure perfection. In simple terms, they knocked it out of the park; which is impressive considering both Hill and Rodriguez knew that expectations were at a fever pitch. In fact, I’ll be shocked if I find anyone who’s disappointed in the direction the co-creators went to end the series. To steal a cliche, it’s an emotional roller coaster that readers will not soon forget. 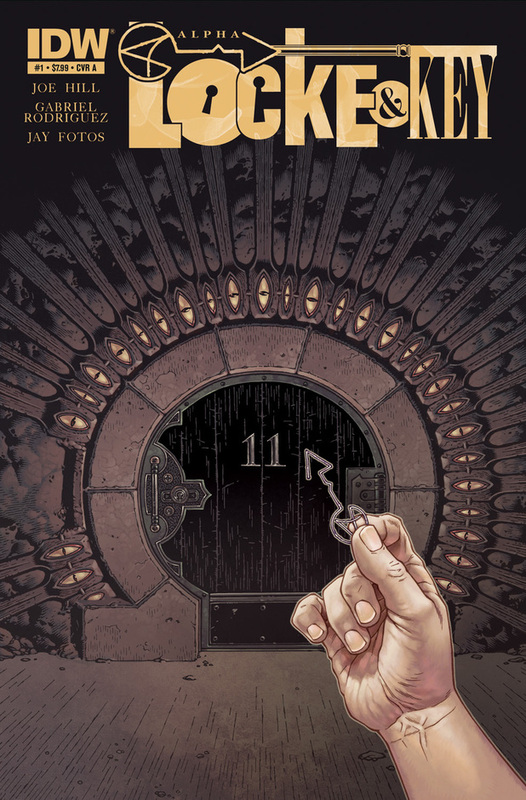 Along with DC’s Gotham Central, I feel that Locke & Key is one of the strongest series I’ve ever read. At no point in the entirety of this story did I feel like the creators were just mailing it in. With a collaboration as successful as this, Hill and Rodriguez owe it to themselves to work together in the future. I’d put their partnership up against any duo out there today in terms of pure creative chemistry. If you haven’t started the series, now is the time to do so. December 9, 2013 in Comics, Fiction, Gabriel Rodriguez, Joe Hill.